Crytek is building Warface, the studio's first freemium shooter, shown recently at E3. 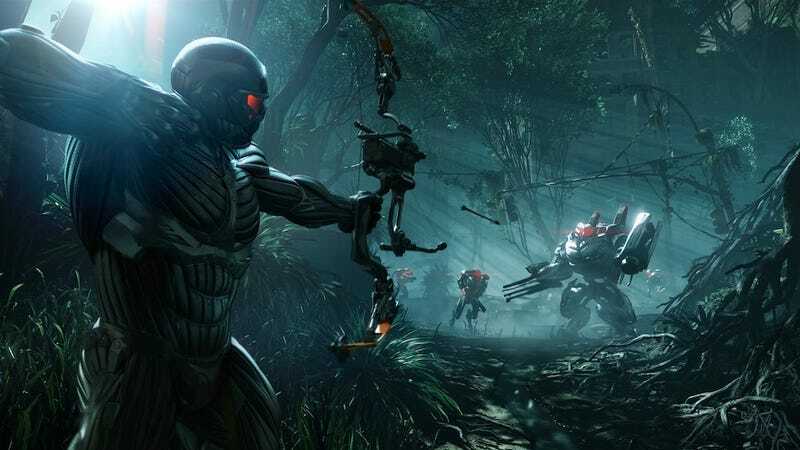 It's also going to deliver Crysis 3, a more traditional FPS, sometime in 2013. Whenever the studio finishes off its current committments, CEO Cevat Yerli told VideoGamer.com, it will be developing free-to-play games only. Yerli considers DLC and premium gaming services, both of which Crysis 3 publisher Electronic Arts is very fond, to be "milking customers to death." "Right now we are in the transitional phase of our company, transitioning from packaged goods games into an entirely free-to-play experience," he said to VideoGamer.com. "I think this is a new breed of games that has to happen to change the landscape, and be the most user-friendly business model." Yerli says top-flight games Crytek produces still require a $10 to $30 million budget, they'll just get an entry price point of, oh, zero dollars. Obviously, they'll be monetized through the sale of upgraded items. Is this really milking consumers any less? More of his thoughts on freemium model at the link below.